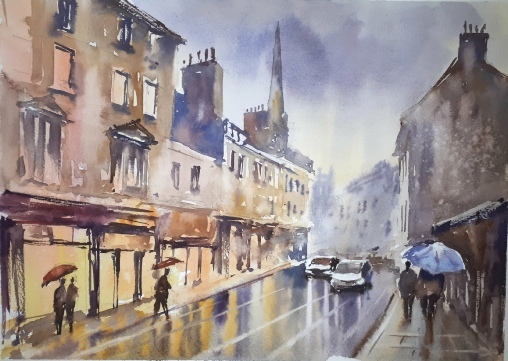 Around 50 members braved the cold weather and were rewarded with a most enjoyable demonstration from our guest, Bristol based artist Paul Weaver. 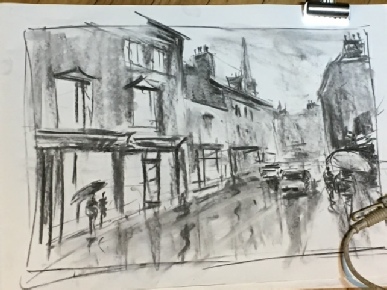 Paul talked us through the stages of developing a city scene, starting with the importance, especially in watercolour, of a tonal sketch. 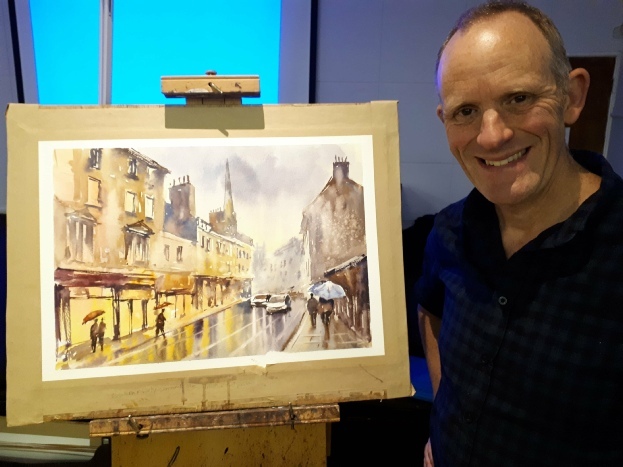 He then went on to demonstrate how to achieve a loose vibrant painting. Words by Claire Sadlier; photos by Judy Goodfellow, Sherry Thomas and Dimitrios Venetsianos.